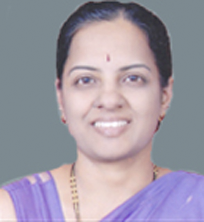 Dr. Meenakshi Deshpande completed her MBBS, MD (Obstetrics and Gynecology) from B.J. Medical College and Sasoon General Hospital in December 1991. High Risk Pregnancy like Diabetes, Blood Pressure in Pregnancy etc. Ante Natal Screening for Baby’s well being. Family Planning and Medical Abortion. Adolescent care and Pre-marriage Counseling. She is an active member of Pune Obstetrics and Gynecologist Society from last five years and currently holds the position as a Treasurer. She is also been a guide for ‘’DGO postgraduate students’’ for last five years at Sanjeevani Hospital, Uttamnagar. She is working as a visiting consultant at Sanjeevani Hospital, Uttamnagar. also as a Panel Consultant at Deenanath Mangeshkar Hospital and Sanjeevan Hospital. Her services are available to Krishna General Hospital at 5pm to 7 pm(Mon to Sat) and by prior appointment.